Blogger is a popular blogging platform. Sometimes we search for blogger alternative. Because blogger is harder now than others blogging platform. For some advantages, people still now using blogger blogging platforms. Such as Free hosting, easy setup and others. You got 15 Gigabytes free space for hosting your data. But now it's assumed that blogger platforms are hard to properly search engine optimization. So the bloggers trying to find blogger alternatives. Here I present 100 best blogger alternatives. Tumblr is best blogging platforms for visual content. If anyone wants to make blogging by their design, photography, painting and other art. Tumblr is very easy to setup. Anyone can set up Tumblr blog within a minute. Customization is a very easy process. Tumblr is a perfect blogger alternative because you can easily share your creations on a vast network. If you try to find a flexible blogging platforms, Joomla is best. Joomla is a perfect blogger alternative. These platforms offer a different experience than blogger. If you use blogger platforms, you must be known HTML very well. Either search engine optimization is hard without HTML knowledge in blogger platforms. For using Joomla, you don't need any kinds of HTML coding knowledge. Joomla also has a wide collection of the plugin. So if you want to make something different from Blogger, Joomla is the best alternative. If you have passionate only in blogging, Drupal is your solution. Although, some blogger doesn't love Drupal as blogger alternatives. But it's a pure blogging platforms. Drupal offers a wide collection of free software to manage, organize and published different types of content on your blog. There are a lot of awesome features on Drupal and easy to use on Website. It also has admin section for tracking and collecting statistical data. Drupal is really awesome as blogger alternatives. If you have knowledge in PHP or any other CMS, Textpattern is best for you. Almost everyone tells you that Textpattern is best blogger alternatives. Do you know why?? Because it's flexibility to use. A cluster of the plugin is available in Textpattern. Almost everything you can create by this tools. For a new user, Textpattern is a gale of content to use as best blogger substitute platforms. 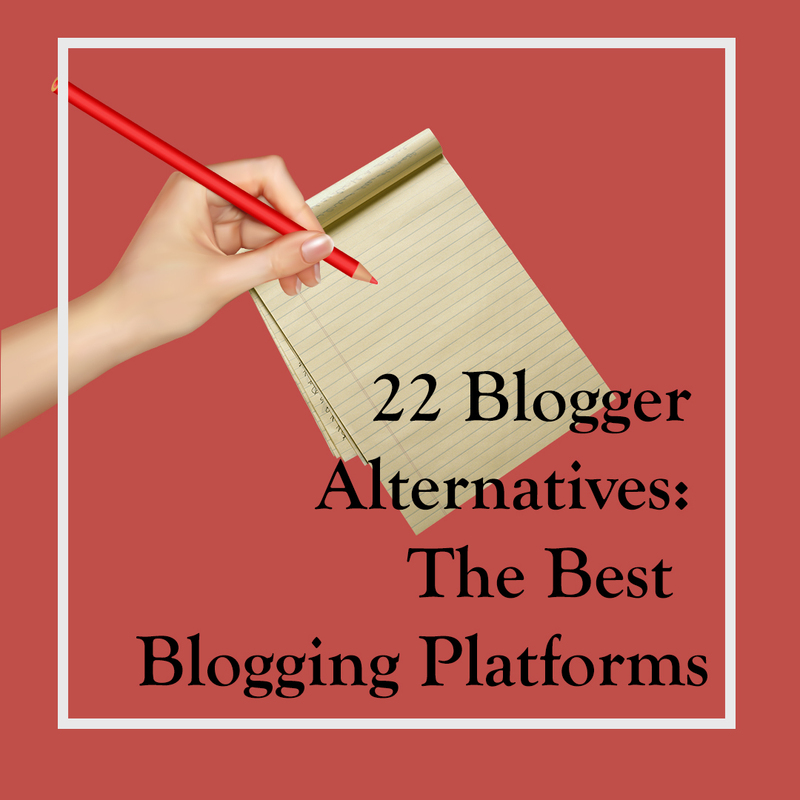 Another big blogger alternatives. Today, most of the bloggers use WordPress as their blogging platforms. WordPress is very easy to setup. To install this script, you need own hosting. So it pretty much expensive than Blogspot blogging platform. WordPress is more SEO friendly than Blogspot blogging platform. You don't need to learn HTML coding to customize WordPress. Ghost is a beautiful blogging platforms. Ghost script can host on your self-serve. Ghost has some awesome tool to manage your blog. You don't need to learn HTML coding to customize ghost blogging platforms. So when you think about bloggers alternatives, the ghost is best for you. It's another awesome place to share your blog posts with millions of register visitors. Medium is for sharing your valuable idea or some story that awesome. Ghost have Android app's to read the regular story. Visitors give like and comments on your post. So many people are using ghost blogging platforms to share their story. Jekyll is a popular blogging platforms to Transform your plain text into static websites and blogs. It's another open source blogging platforms. You can host it's on your own server. You need to learn HTML coding to customize Jekyll script for install and customize. Jekyll is hosted on GitHub. This script is perfect for static site making, personal and organizations sites also can make by Jekyll. So you can use Jekyll as blogger alternatives. For creating a nice blog without more HTML coding knowledge, Grav is awesome platforms. Grav has different content management system CMS for including 360 degrees photos. Just install and build your blog with Grav. Use Grav as blogger alternatives platforms. The most popular blogging platforms. Simples drag and drop system used for building Weebly blog. You don't need any knowledge in HTML coding for building Weebly blog. Weebly has nice platforms with many pre-build them. So you can change your blog theme easily. Another blogger alternatives platforms for blogging. Here you can make an awesome blog with zero knowledge in HTML coding. These platforms are well SEO friendly and mobile customize. You got a free domain, SLL certificate and powerful website analytics with unlimited bandwidth and hosting space. You have to pay 12$ per month for using Squarespace blogging platforms. Known is learning blogging platforms. 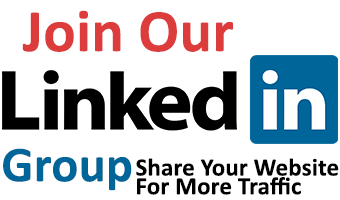 You can use this platform like social media platforms. Create your educational community on know blogging platforms and students can publish their work, share feedback also communicate each other by social media. These platforms are very easy to setup. You don't need any knowledge in HTML coding. You can share everything, text, image or podcast. So if you are the educational blogger, known is best blogger alternatives. Another blogger alternatives platforms for creating an awesome website. MODx is very simple to use. You can customize your website highly. You don't need to learn HTML coding knowledge to setup MODx content management system CMS. MODx have so many specialists to make your website. You just need to pay some money as their service charge. They also give you their own server for hosting your content. 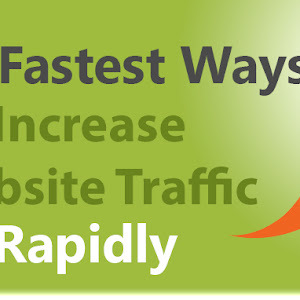 For ultra website site speed, MODx is best. Yeah, it's h Hugo website creator for making a blog without knowing HTML coding knowledge. This is another open source content management system CMS. You can customize your website as you can. Hugo is ideal platforms for blogs, docs, portfolios and much more. You just need to download and install on your hosting. Hugo makes your blog very catchy design. So Hugo is best blogger alternatives platforms. It's another awesome place to create a different experience blog. OctoPress is a highly customized platforms. You need to learn HTML coding to customize your OctoPress site. The problem is this code always needs to update. Because the owner of this script trying to make a reliable content management system CMS. This is another open source content management system CMS for creating a full customize and update your website. There have different types of extension application in Fork CMS. You can easily add widget on the blog. Fork CMS have some awesome template. You can customize your theme easily. So the Fork CMS is a great blogger alternatives platforms. Redaxscript is lightweight, fast Content Management System CMS, for SQLite, MySQL, and PostgreSQL. This CMis fully customized for creating your blog. You don't need to learn HTML coding knowledge for customizing theme. Redaxscript is very easy to set up and capable of working with high server loads. So for an enterprise environment website, you can use Redaxscript as blogger alternatives. If you want a lightweight blogging platforms, Anchor CMS is best for you. It's very easy CMS to make your blog. Anchor CMS use drag and drop system for creating a blog. Just have little HTML coding and PHP knowledge, you can customize your blog theme. You don't need to pay for using this script. It's totally free and open source blogging platforms. It can use as blogger alternatives platforms. Postach.io is converting your Evernote note into a blog post. You can also use DropBox & Pocket apps. You may have knowledge about Evernote. Evernote is very popular platforms for saving note, data, text on the cloud. So many people use this platform for saving their valuable data on cloud saver. 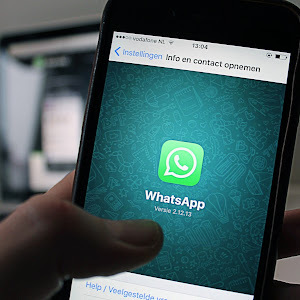 Blogger can write his post from everywhere on a smartphone. After then you can import your text from Evernote to blog post. So it's also a blogger alternative. This is another awesome content management system CMS powered by Twitter Bootstrap and website.py. If you have knowledge in Twitter Bootstrap, you may know the beautiful design of Twitter Bootstrap. Blogstrap uses awesome CSS and HTML 5 combination design. If you think about bloggers alternatives platforms, Bootstrap is best for you. LiveJournal is a personal publishing platforms. Here all the new blogger can use for free. Here you can open an account for free. Now share your blog posts in LiveJournal. LiveJournal is a community. Here the visitors can like or comment on your post. These platforms are a high-quality blogging platforms for professional and small business. Like WordPress, so many popular websites is hosted on TypePad. These platforms is very easy to setup and use. TypePad is a perfect blogger alternative. These platforms offers a different experience than blogger. For using TypePad you don't need any kinds of HTML coding knowledge. TypePad also has a wide collection of the plugin. So if you want to make something different from Blogger, TypePad is best Blogger Alternative. Hey, you always write some awesome article. I think blogger blogging platforms always difficult to SEO for new blogger. Recently I trying to find blogger alternative. Your Post give me right information. Hey, thanks for your comment. You are welcome to blogpairs. Stay with us. Just awesome post. I only know that blogspot and WordPress as a blogging platforms. Thank for your informative article. Hello Polash, There have so many blogging platforms. I only present here 22 blogging platform. Hello, SHAFIULLAH. I am a regular follower of your blog. Hey Gurjit, our comments is nofollow. So don't share your blog links.